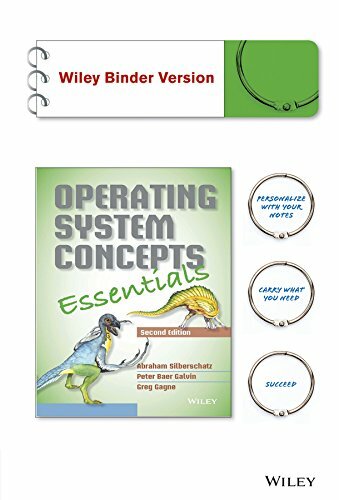 9781119017479 | 2 lslf edition (John Wiley & Sons Inc, August 25, 2014), cover price $98.00 | also contains Operating System Concepts Essentials | About this edition: By staying current, remaining relevant, and adapting to emergingcourse needs, Operating System Concepts by Abraham Silberschatz,Peter Baer Galvin and Greg Gagne has defined the operating systemscourse through nine editions. 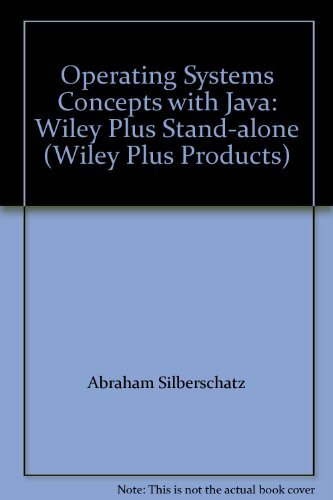 9781118804926 | 2 edition (John Wiley & Sons Inc, November 18, 2013), cover price $140.60 | About this edition: By staying current, remaining relevant, and adapting to emergingcourse needs, Operating System Concepts by Abraham Silberschatz,Peter Baer Galvin and Greg Gagne has defined the operating systemscourse through nine editions. 9780470889206 | John Wiley & Sons Inc, November 23, 2010, cover price $137.75 | About this edition: Straightforward coverage of the core concepts of operating systems Open-source operating systems, virtual machines, and clustered computing are among the leading fields of operating systems and networking that are rapidly changing. Product Description: If applicable, online access, codes or supplements are not d to be included or work. Pages are clean and binding is tight. 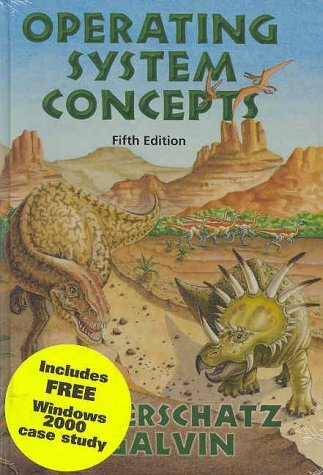 9780471694663 | 7 edition (John Wiley & Sons Inc, December 14, 2004), cover price $159.05 | About this edition: Another defining moment in the evolution of operating systems Small footprint operating systems, such as those driving the handheld devices that the baby dinosaurs are using on the cover, are just one of the cutting-edge applications you'll find in Silberschatz, Galvin, and Gagne's Operating System Concepts, Seventh Edition. 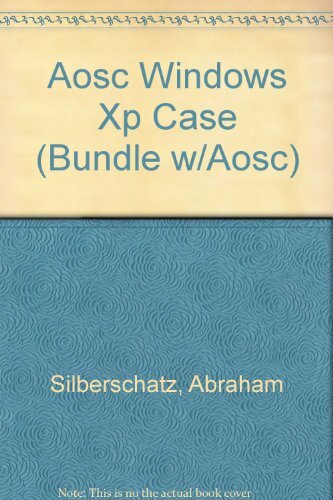 9780471250609 | 6 edition (John Wiley & Sons Inc, March 1, 2002), cover price $107.95 | About this edition: Silberschatz: Operating Systems Concepts, 6/e Windows XP Update Edition, the best selling introductory text in the market, continues to provide a solid theoretical foundation for understanding operating systems. 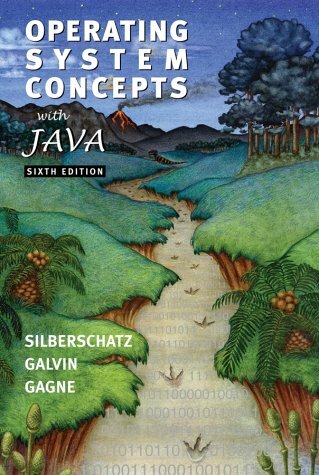 9780471417439 | 6 sub edition (John Wiley & Sons Inc, June 1, 2001), cover price $115.05 | About this edition: Celebrating its 20th anniversary, Silberschatz: Operating Systems Concepts, Sixth Edition, continues to provide a solid theoretical foundation for understanding operating systems. 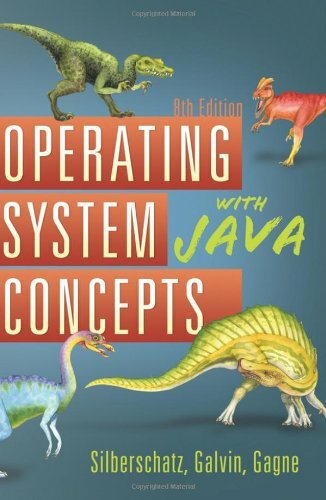 9780471364146 | 5th edition (John Wiley & Sons Inc, January 1, 1998), cover price $96.60 | About this edition: The latest edition of this bestselling book provides a solid theoretical foundation for understanding operating systems. 9780201591132 | 5th edition (Addison-Wesley, November 1, 1997), cover price $65.63 | About this edition: The latest edition of this bestselling book provides a solid theoretical foundation for understanding operating systems. 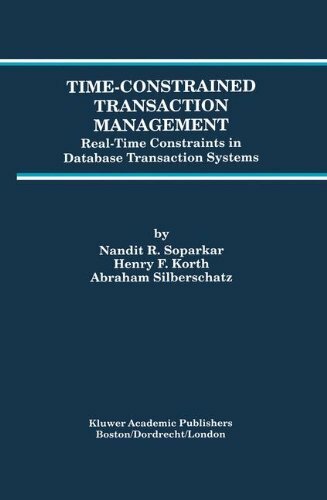 9781461286158 | Reprint edition (Springer-Verlag New York Inc, September 27, 2011), cover price $209.00 | About this edition: Transaction processing is an established technique for the concurrent and fault­ tolerant access of persistent data. 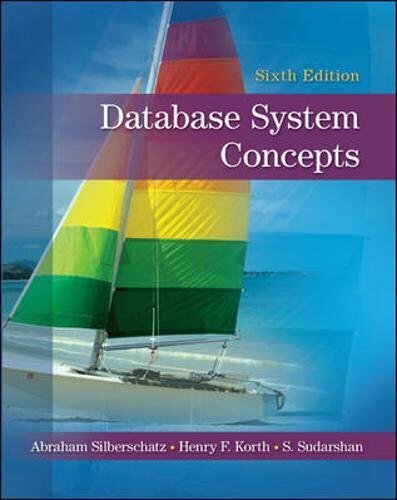 9780073523323 | 6 edition (McGraw-Hill Science Engineering, January 27, 2010), cover price $235.40 | also contains Database System Concepts | About this edition: Database System Concepts by Silberschatz, Korth and Sudarshan is now in its 6th edition and is one of the cornerstone texts of database education. 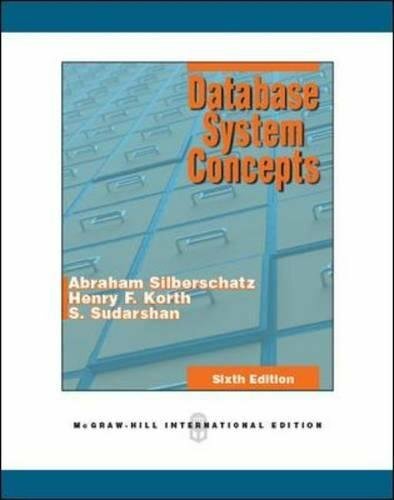 9780071289597 | McGraw-Hill Education, May 1, 2010, cover price $87.35 | About this edition: Database System Concepts by Silberschatz, Korth and Sudarshan is now in its 6th edition and is one of the cornerstone texts of database education. 9780002172738, titled "Bonnie Sterns Cuisinart Cookbook" | Cuisinarts, June 1, 1985, cover price $11.95 | also contains Bonnie Sterns Cuisinart Cookbook | About this edition: "Let Canada's leading expert on Cuisinart cooking show you how to get the most out of your food processor. 9780470509494 | 8 edition (John Wiley & Sons Inc, November 9, 2009), cover price $225.80 | About this edition: The award-winning team of Abraham Silberschatz, Peter Galvin, and Greg Gagne gets system administrators right up to speed on all the key concepts of computer operating systems. 9780471769071 | 7 edition (John Wiley & Sons Inc, December 28, 2006), cover price $161.90 | About this edition: Get inside today's most popular operating systems How do today's operating systems work? 9780470279939 | 8 new edition (John Wiley & Sons Inc, August 1, 2008), cover price $112.20 | About this edition: Keep pace with the fast-developing world of operating systemsOpen-source operating systems, virtual machines, and clustered computing are among the leading fields of operating systems and networking that are rapidly changing. 9780471355809 | John Wiley & Sons Inc, October 1, 2003, cover price $108.00 | About this edition: Applied Operating Systems Concepts, 1/e Windows XP Update Edition is based on the best selling text Operating System Concepts, 6/e, 2001 by Abraham Silberschatz, Peter Baer Galvin and Greg Gagne. 9780471263142 | Pck edition (John Wiley & Sons Inc, June 1, 2002), cover price $103.70 | About this edition: Applied Operating Systems Concepts, 1/e Windows XP Update Edition is based on the best selling text Operating System Concepts, 6/e, 2001 by Abraham Silberschatz, Peter Baer Galvin and Greg Gagne. 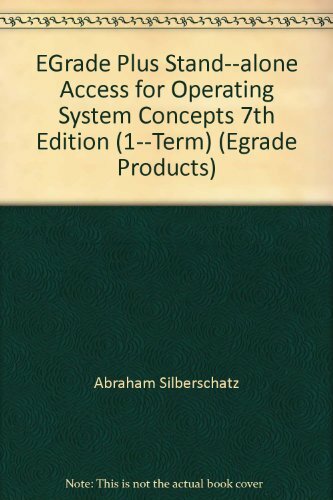 9780471419853 | Supplement edition (John Wiley & Sons Inc, January 1, 2001), cover price $109.35 | About this edition: This text, Applied Operating Systems Concepts, is based on the best selling text Operating System Concepts, 5/e (OSC), 1998 by Abraham Silberschatz and Peter Baer Galvin. 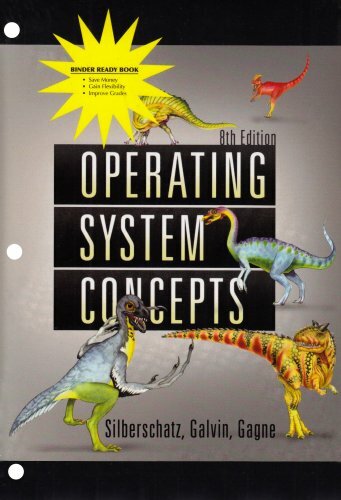 9780471365082 | John Wiley & Sons Inc, August 25, 1999, cover price $147.70 | About this edition: Applied Operating System Concepts is the first book to provide a precise introduction to the principles of operating systems with numerous contemporary code examples, exercises, and programming projects. 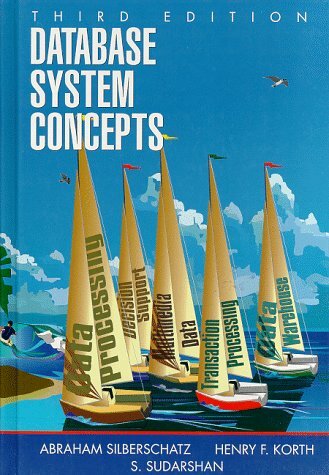 9780070447561 | 3rd edition (McGraw-Hill College, May 1, 1997), cover price $93.50 | also contains Sims: Livin' It Up | About this edition: Presenting the fundamental principles and concepts of database systems, this text includes new material on object-oriented and distributed systems and SQL. 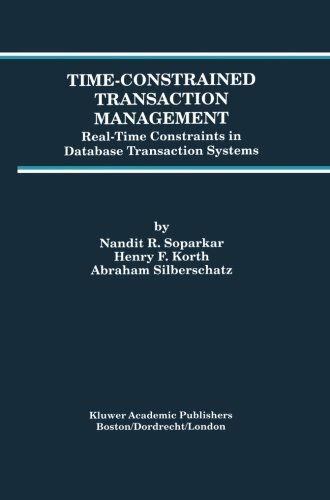 9780792397526 | Kluwer Academic Pub, June 1, 1996, cover price $209.00 | About this edition: Transaction processing is an established technique for the concurrent and fault­ tolerant access of persistent data. 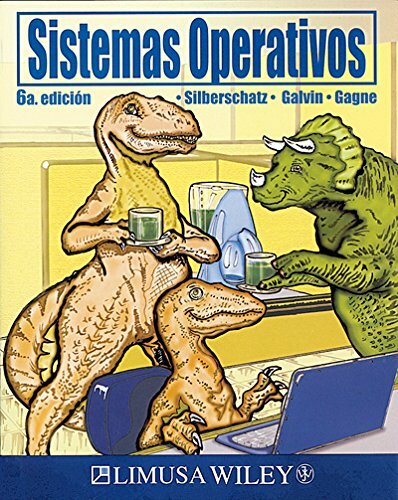 This is the most successful operating systems book on the market, with lifetime sales of well over 200,000 copies. In the fourth edition, this book enhances its reputation for clear coverage of the fundamental concepts which are the foundation of operating systems. The book has been revised to decrease coverage of older ideas, and expand discussion of new, common operating systems. 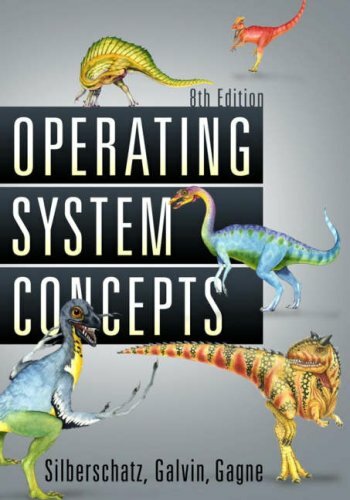 9780471364085, titled "Operating System Concepts: With Windows Nt Chapter" | 4th edition (John Wiley & Sons Inc, January 1, 1994), cover price $78.10 | also contains Jump Back, Paul: The Story of Paul Laurence Dunbar and His Poems | About this edition: This is the most successful operating systems book on the market, with lifetime sales of well over 200,000 copies.